Twelve among the biggest international dance teachers will be in Turin with a load of energy, passion and professionalism! 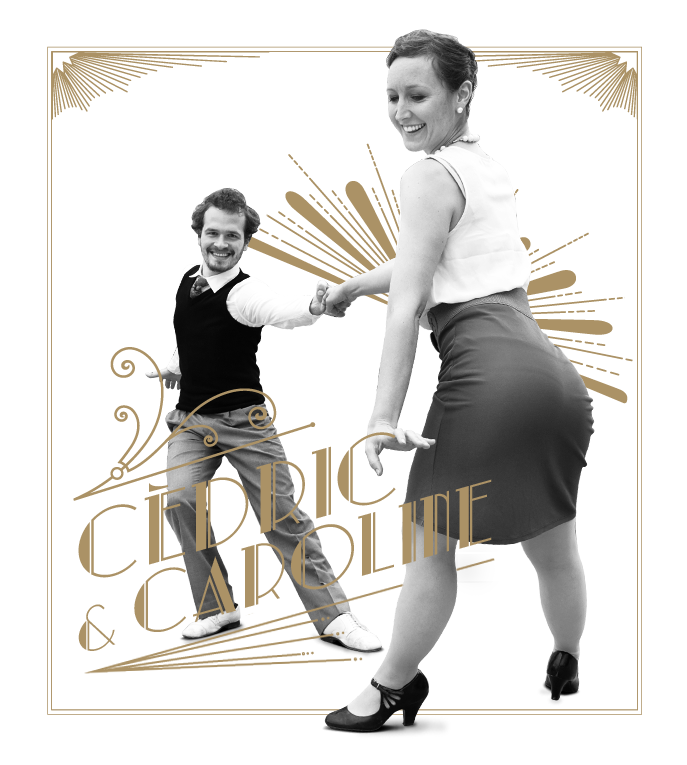 live and breathe Lindy Hop with their passion for celebrating life through dance. 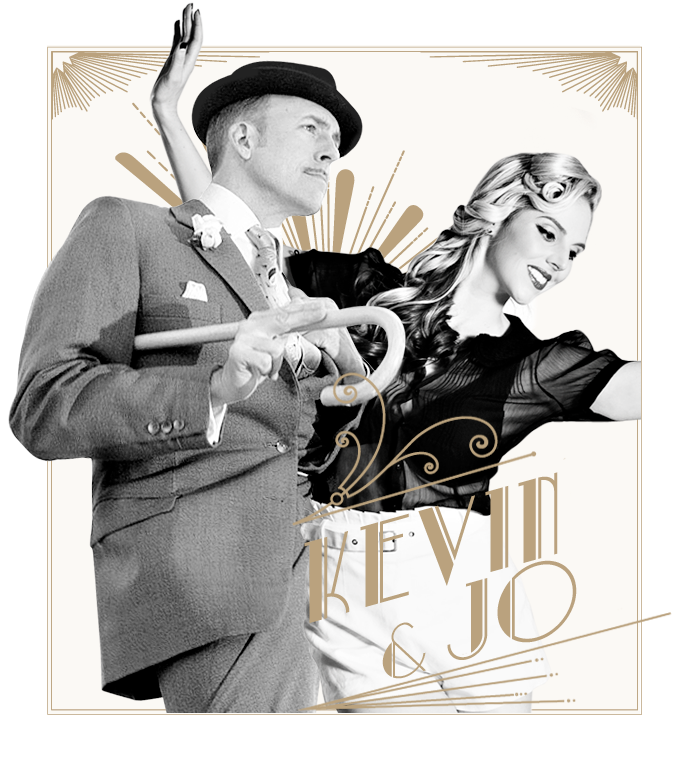 They travel globally teaching and performing dances from the Jazz Era of the 1920’s to 1940’s. Since their partnership began in 2007 they have taught in 28 Countries across 5 continents including North America, South America, Europe, Asia, and Australia. Together they hold titles at the International Lindy Hop Championships, European Swing Dance Championships, American Lindy Hop Championship, Ultimate Lindy Hop Showdown, Camp Hollywood and Camp Jitterbug. With clear and humorous instruction, these two creative and versatile dancers will entertain, inspire and help you become the best dancer you can be. They are striving to change the world…one rock step at a time. In the words of the Harlem Hamfats…. comes from a sports background and had his first contact with Lindy Hop in Herräng. He fell in love with the dance right away and since then, he has been dedicating a lot of time to learn more about this amazing dance. Now a full time dancer and teacher based in Stockholm, his teaching is focused on rhythm and flow. 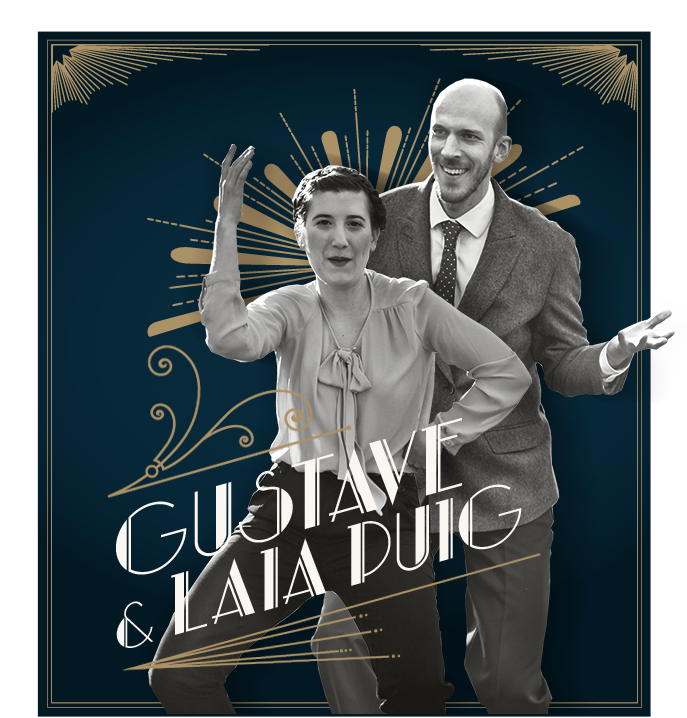 Gustav is constantly working to improve his movement by practicing Solo Jazz movement as well as Lindy Hop. He likes to perform and compete and has been successful at events such as ILHC, ESDC, Lindy Shock and The Snowball. Together with Laia he won 1st place in the Advanced Strictly Division at ILHC 2016, and they were finalists in the All-Star Strictly at ILHC 2017. They are both members of Brothers and Sisters in Rhythm who won the team competition at ILHC 2017.
started dancing at the age of six and and for six years she practiced Ballet, Contemporary and Flamenco daily. When she was 12 years old she started practice and compete in Ballroom dances. At the age of 19 she didn’t want to continue with the ballroom dances and she agreed to go with her parents to a Lindy Hop dance. She loved what she saw at the dance and immediately starting to take Lindy Hop lessons, leaving the Ballroom dancing behind. Now a full time dancer and teacher based in Stockholm, she is focusing her teaching on followers to have a strong rhythm and to actively take part in the dance. She constantly strives to improve her dancing and movement by working on her solo jazz dancing as much as her Lindy Hop. She tries to connect fun, rhythm and silliness in her dancing. Laia likes to perform and compete both in Lindy Hop and solo dancing. She has competed successfully at The Snowball and with Gustav Jakobsson she won 1st place in the Advanced Strictly Division at ILHC 2016, and they were finalists in the All-Star Strictly at ILHC 2017. She is a proud member of Brothers and Sisters in Rhythm who won the team competition at ILHC 2017. Since they met in 2012 have decided to join their competences in order to develop their qualities of dancers and teachers. 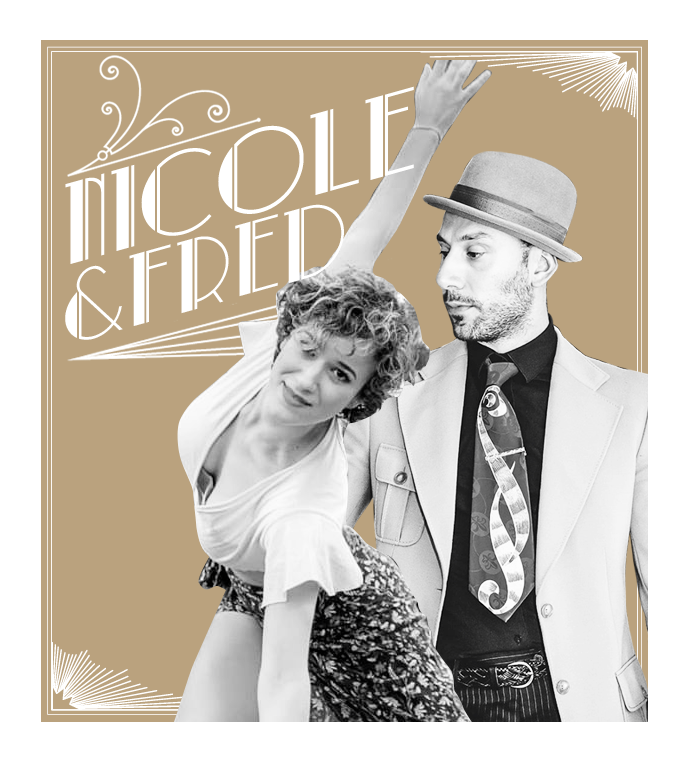 As well as very active on the local swing scene in Strasbourg (Lindy Spot), they also go beyond borders and further and further away to dance, teach and perform. You will be able to appreciate their dynamic classes, a delicate blend of Cédric’s humor and Caroline’s poetry. Both are keen on transmitting their ideas through a very progressive pedagogy. One that approaches technique in a very precise and detailed manner, and also teaches movements combining basics, surprises, musicality and grace. Whereas Cédric reminds you of the big principles of musicality, Caroline invites you to explore sensations, emotions and personal expression. started dancing in a small dance school when she was 4 years old. In 2005, she moved to Toulouse to get her degree through the conservatory. After 3 years of conservatory, she started a dancer-interpreter formation at James Carles; a 3 years training in classical, modern, and contemporary. At the same time, she danced in different Toulouse companies. After graduating as a dance teacher, she began teaching in different schools in Toulouse. 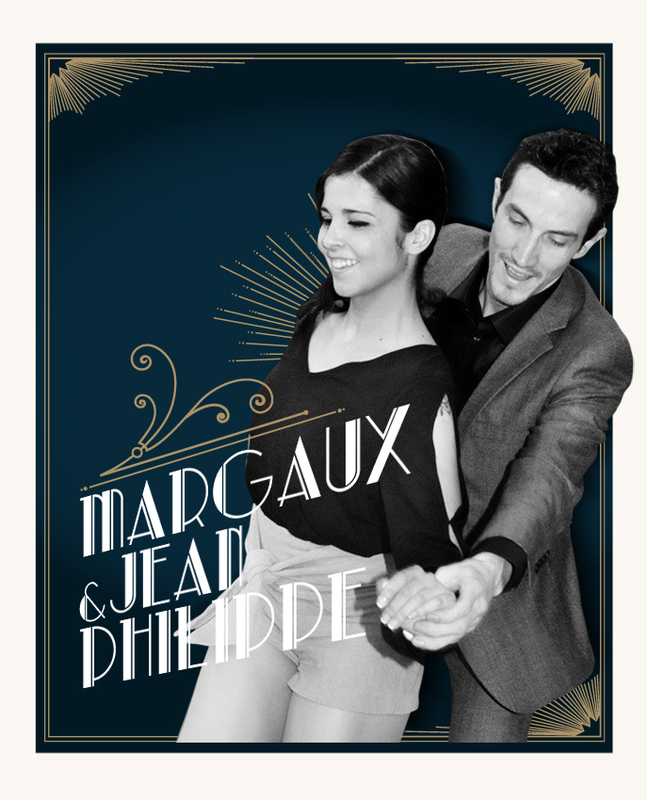 In parallel, she meets Jean Philippe DELORT by joining his crew Groove’n up which mixes several styles of dance. She is swinging with him and integrates several troops (tagada swing swing, tic tac swing, funny bones, mashed patato). Eager to learn and progress, she starts Charleston and balboa with Anne Helene and Bernard CAVASA. She now teaches with Jean Philippe in several festivals. Dynamic and energetic, she continues to learn to improve her technique constantly. He started dancing 10 years ago! He immediately fell in love with the swing in particular for the boogie woogie. Fred worked hard to always be in the top line of contests that continues a rate in France and an international level. Dances Lindy hop and the Solo Swing for over 6 years! In 2014 he won the European Swing Dance Championship (ESDC) in the strictly open division and 2nd place in the Showcase! She has been teaching for 4 years and likes to work her Los Angeles dance in a mixed style between Lindy and Boogie. Since very small shows a strong interest in music and dance, so just reached the age for admission, began his academic training at the Teatro Nuovo in Turin. In the following years, in addition to classical dance, he studied modern and contemporary dance. He performs in prestigious locations such as: Reggia di Venaria, Teatro Regio di Torino, Teatro Carignano di Torino, Palazzo Ducale for the review Teatro a corte. He toured Italy with several shows as a dancer and choreographer. At the same time he starts teaching classical, contemporary and pilates dance. In 2015 he started almost as a game to get closer to the swing world. The energy and vitality that it manages to release, however, immediately trap it in a vortex from which it no longer leaves! He began to study regularly with the Turin Cats and Doriana Galliano. Travel in Italy and abroad to improve technique and style. In 2016 he joins the Turin Cats staff as a jazz and lindy hop teacher, he collaborates with various Alexandrian and Genoese companies and becomes a member of the Jumping Jam, Doriana’s Galliano performance team. In 2017 he won the solo competition of the Torino Swing Festival and in January 2018 he took home the first result in the blues arriving in the final at the Moscow Swing Dance Camp. In 2017 he founded the Kitchen Swing in Alessandria together with Eugenio Marotta and Alberto Gandin e at the same time he collaborates with Feel Good Swing. started dancing Lindy Hop with the association Turin Cats in 2011. He joined many dance camps all over Europe with international teachers. In 2013 he opened his first beginner class ‘Off-Town’ to animate the dance floors also out of Turin, where the swing rhythm and dance was not known yet. Since 2014 he teaches with Manuela in different locations creating a small and growing off-town Lindy Hop community. 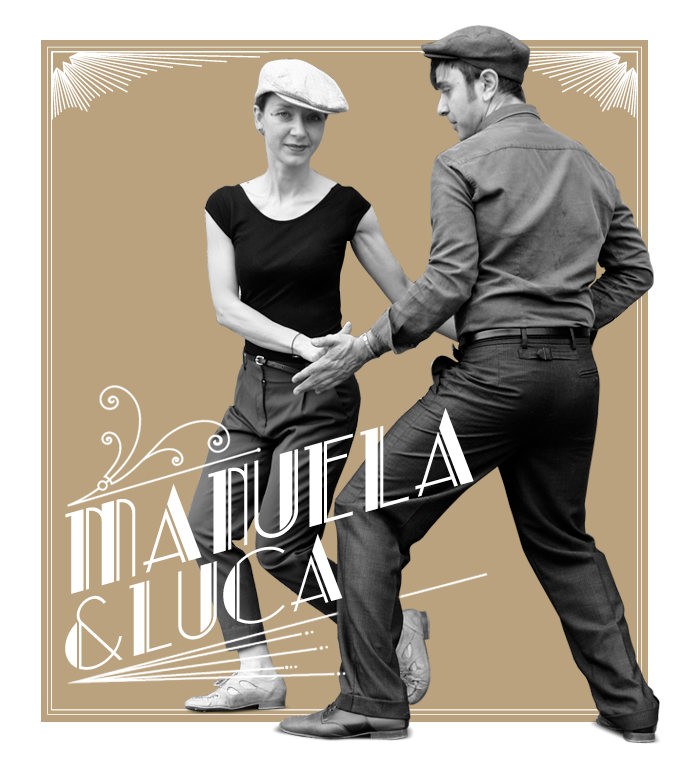 In 2018 Luca was one of the residential teacher with Manuela at the Royal Swing Fest and co-organizer of Lindy Farm, arrived at its 3rd edition with over 150 participants. discovered Lindy Hop when she lived in London chasing it during her travels until Texas. Since June 2013 she studies in Turin and around Europe joining many festivals and workshops with tireless enthusiam! In 2014 a new adventure started joining Luca ‘Off-Town’ to spread Lindy Hop also outside Turin. This year she had her first experience teaching taster classes of Lindy Charleston at an international festival (3rd edition of the Royal Swing Fest – Collegno/Turin). Locally she enjoys to organize events and parties as Lindy Farm, 3 days dance camp up to the mountain.